Founded in 1729, Wolmer’s is the oldest school in the West Indies, comprised of Wolmer’s Trust High School for Boys, Wolmer’s Trust High School for Girls, and Wolmer’s Preparatory School. Today, the three campuses serve more than 3,000 students with 150 faculty members. CGV currently provides six full scholarships to deserving recipients upon recommendation from the school’s principal, with the assistance of core team teachers and counselors, based on financial need and merit. Once the awardees are selected, scholarships are renewed annually, providing recipients have a continuing financial need, minimum grade point average, good behavior, and report of progress. Scholarships include tuition, transportation, at home nutritional support, books and uniforms, lunch, exam fees, field trip expenses, and extracurricular activities. 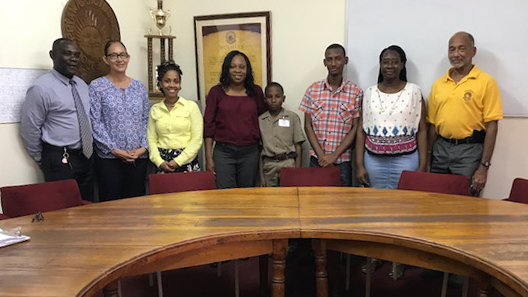 In addition, CGV proudly provides undergraduate scholarships to two university undergraduates, from Wolmer’s School for Boys and Wolmer’s School for Girls. For 23 years without an auditorium, the students at Wolmer’s Trust High School for Boys had to endure harsh weather conditions for Assembly and various presentations, which are held outdoors. 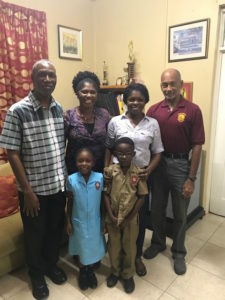 Thanks to the initiative of the Wolmer’s Trust, of which CGV was a financial contributor, a new auditorium became a reality by the end of the 2015 school year.